Set in a futuristic Australia and drawing heavily on contemporary British pop culture and punk visual art, Tank Girl follows the bizarre, psychedelic and anarchic adventuresof the titular outlaw who lives in a tank with her mutant kangaroo boyfriend, Booga. 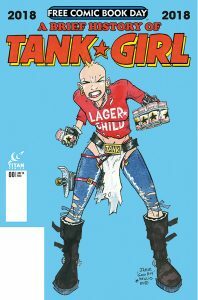 Celebrations kick off in April 2018 with Tank Girl: Full Color Classics 1988-1989 – the first of six prestige editions presenting those original seminal strips fromDeadline in glorious color, just as Hewlett and Martin envisaged them three decades ago. Colored by Tracy Bailey (Fighting American) and Sofie Dodgson (Tank Girl: Bad Wind Rising), this is a new take on the classic strips. Plus, it includes rare and unseen artwork, as well as photos from the early days of the Martin and Hewlett partnership. 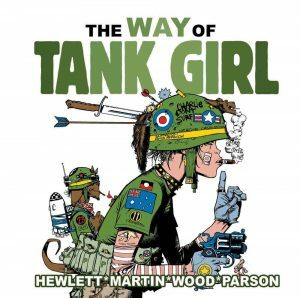 April 2018 also sees the release of The Way Of Tank Girl, a fantastic hardcover gift book full of Tank Girl’s most personal and bonkers brainwaves, musings, and secret weaponry. 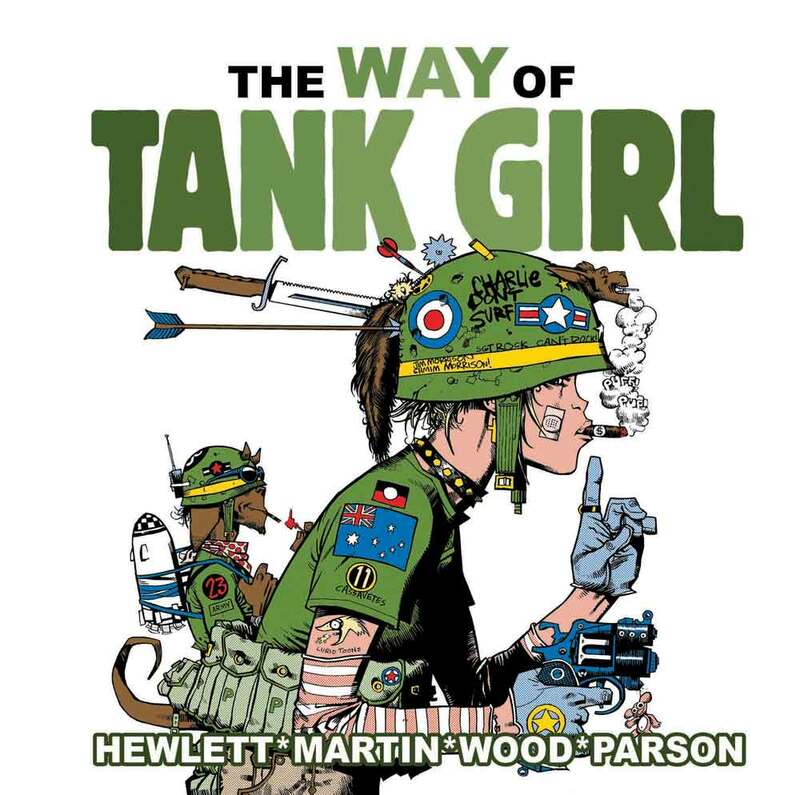 Original creators Alan Martin and Jamie Hewlett, with artists Brett Parson and Ashley Wood, bring together a collection of strips, poems, covers, and extracts from Tank Girl’s 30-year career. 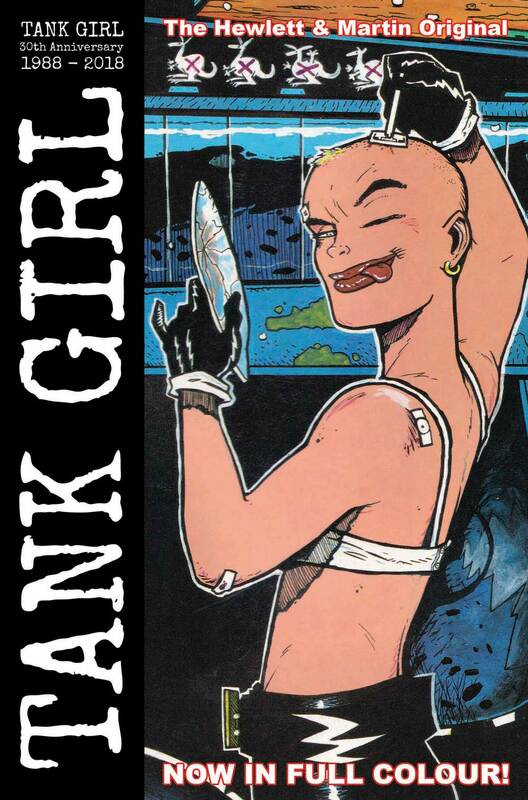 It’s Tank Girl’s philosophy on life, distilled from her filthiest, dirtiest, stupidest best! 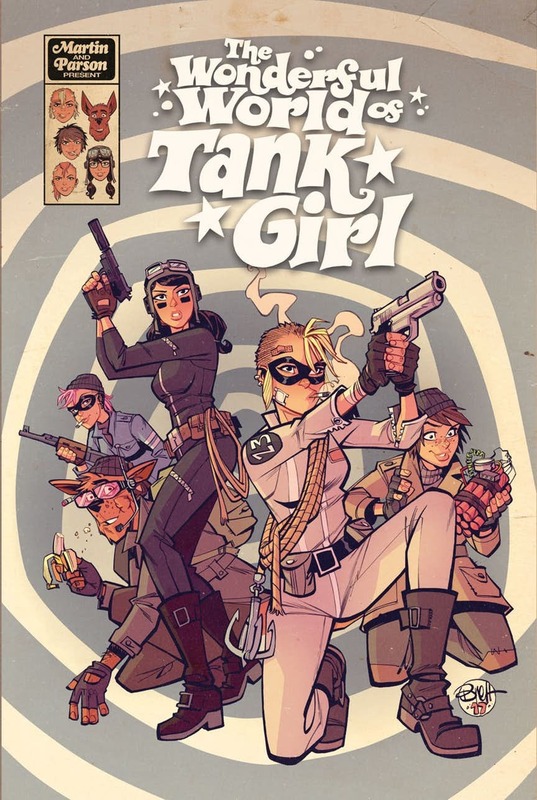 October 2018 – the actual 30th Anniversary of Tank Girl – is set to be a packed month of events, signings, comics, variant covers, and book releases. October 9 sees the release of a fun Tank Girl Coloring Book – where fans can make their own pages and pin-ups of their favorite anarchist as colorful as her language! 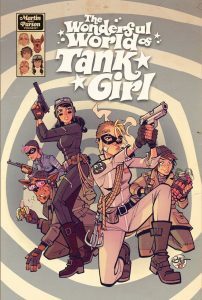 The Tank Girl All Stars hardcover collection hits bookstores on October 16, and the following day, October 17, sees the launch of a brand-new Tank Girl comic series from Alan Martin! This busy month culminates on Saturday October 20, as Titan Comics launches Tank Girl Day – a global event celebrating everything Tank Girl! The event will see new comics and collections, variant covers, signings, and events across the world at comic shops, bookstores, retail chains, libraries, and digital platforms.